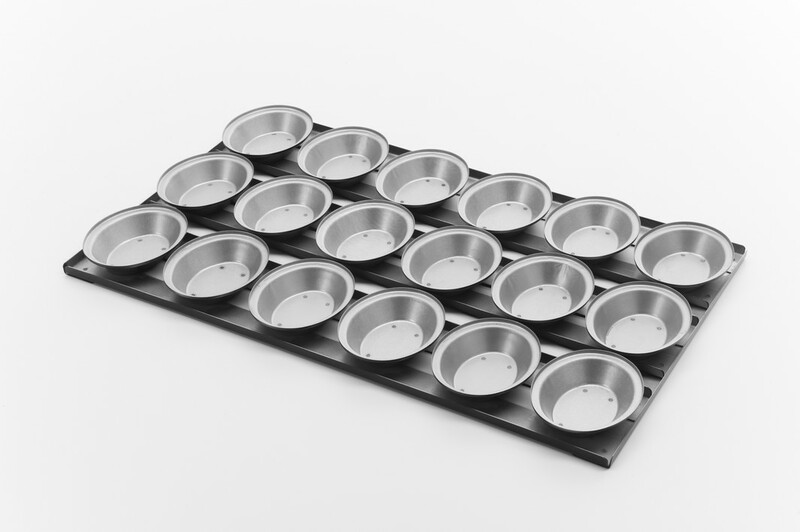 Grants manufacture pie trays in many sizes and styles to suit all industrial, commercial or domestic ovens..
Pie trays and tins are manufactured from aluminised steel. 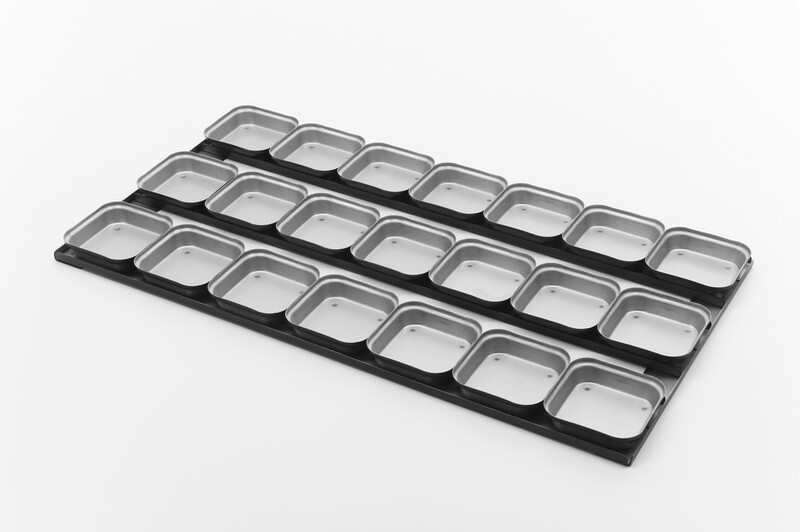 Trays may be constructed from either "rail" or "solid tray" style. Other tray sizes are available if sufficient quantity. 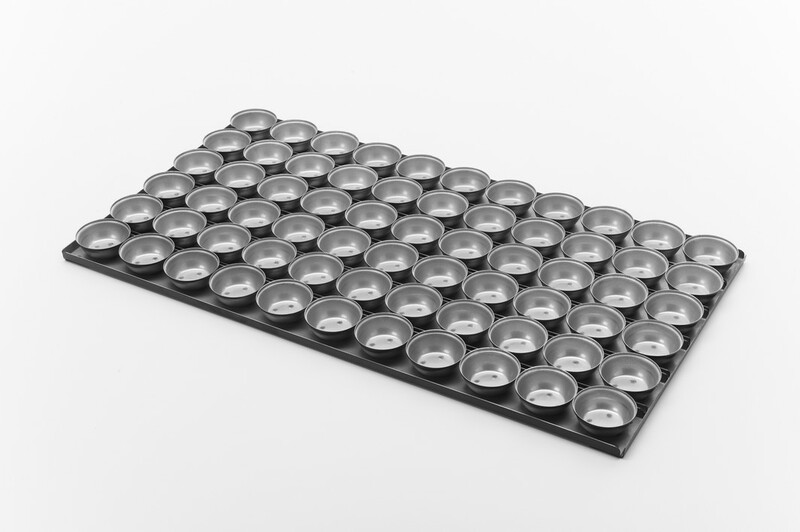 Failure to oil PTFE coated trays when first used may result in poor release properties and reduction in coating life. 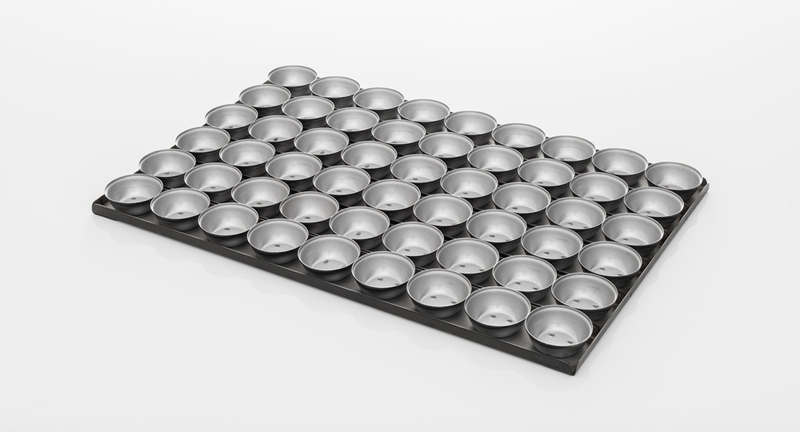 The trays shown are our most common products. Other tin sizes are available.